It’s the kind of thing mentalists, magicians, & historians dream about. Lost treasures of the art showing up out of no where after someone opens an old trunk. 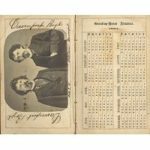 For Australian’s, you may have seen recently in the newspapers a large collection of antique books, photographs, performance diaries, & even Houdini’s handcuffs were recently uncovered in Sydney. Edwin A Dearn was an Australian magician & collector. 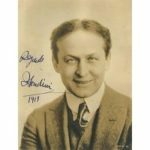 Mr Dearn also happened to be very close friends with some of the greatest magicians, mentalists, & mediums of all time, including Harry Houdini, Harry Kellar, Max Mellini, Chung Ling Fu, & many more. Apparently Mr Dearn’s daughter in law, or, I would imagine the correct relation would be granddaughter in law, found the large trunk that had been sitting in their garage in Roseville, Sydney, for years. Upon opening this trunk, she was surprised to find all sorts of artefacts from an abundance of autographed photos from each of the greats & many more, letters from both Harry Houdini, & his wife Bess after Harry’s death. Hand cuffs that were presented to Mr Dearn by Harry Houdini, bill posters from old shows around the world, & diaries, even the pig tail of Chung Ling Fu. In particular, the diary of Ira Davenport, of the Davenport brothers, which was left to Houdini, of which was then passed on to Mr Dearn. In this collection also was the notes of Albert Einstein, some of which relating to the theory of relativity. The auction was picked up a few days prior by the Today show, was featured in newspapers, and on other media platforms. The auctioneers it seems, really had no idea what prices things would go for. Some items they thought would fetch a lot, there was barely a bidder at all, whilst each of the posters estimated to go for around $150-$200 went for around $7000+. The diary of Ira Davenport, containing post show notes, ideas, & more gold. 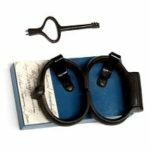 The cuffs of Houdini went for around $5500, whilst the treasure of the Davenport diary went for $13,000. Lets add to that the extremely expensive buyers premium of 22% + GST. It is suspected that names such as David Copperfield, Derren Brown & several other big name collectors were bidding via the phones as these were the larger purchasers. 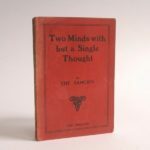 I was fortunate enough to pick up an original copy of the Zancigs telepathy. An art form I have been attempting to master for some time. Over tie letters have turned up, from Harry Houdini to the Zancigs about their telepathy system. As much of these items were Houdini’s, & this book was found amongst that section, it is conceivable that this was indeed Harry Houdini’s copy, however, this can’t be confirmed. 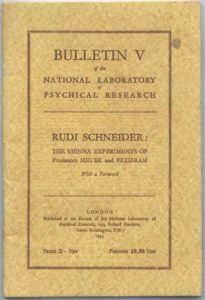 Along with this book, several original proof copies of the American Society for Psychical Research’s bulletins, each signed by Harry Price were also obtained. Perhaps the most interesting of these were slips of paper found inside some of these books. One of which, needs to be deciphered. The bulletins including reviews of seances, telepathy, fire walking, & mediums. Some tests proving some were frauds, and others inexplicable.